If you're looking for more information about ecommerce web design or developing an online store, then you're in the right place. Here, you'll learn exactly what ecommerce is and what it can do for you. Additionally, you'll discover what is SlogX and how it can save you time establishing your own presence on the web. E-commerce is the use of the internet and other electronic media to sell products and services. Typically, e-commerce web design refers to sales, marketing, and the arrangement of automated financial transfers. Delivery of physical products is normally handled by a carrier such as the postal service or FedEx. Other products may be digital in nature such as an e-book or access to a private website's contents. Services may also be sold electronically depending on the requirement of the company to be physically present. For example, credit repair services can be purchased online while reports are delivered to update the progress. E-commerce websites work by offering a selection of products and services for customers to view. The internet is a medium where consumers often turn to gather more information before making a purchase. Therefore, e-commerce sites seek to offer information as one of the means to encourage purchases through the internet. Additionally, ecommerce software may be used to speed up the process of developing an online store. SlogX is a team of professionals who specialize in developing ecommerce websites and and ecommerce web design solutions. Our focus is on delivering quality ecommerce sites that meet your deadlines and budget. 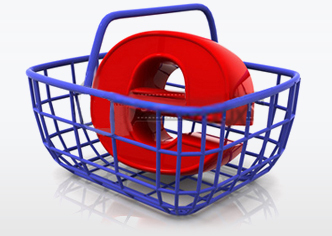 We have a history of developing ecommerce software complete with shopping cart. Once your site is set up, marketing plays the most important role for gaining sales. Because of this, it's important to begin marketing as soon as possible. This is the key component that drives a steady stream of interested and qualified prospects to your site.